After the fabric is impregnated with the flame retardant liquid, the pre-shrinkage formed by the flame retardant and the guanamine penetrates into the amorphous region and the gap of the fiber, and then the methylation of the NH3 and the pre-shrinkage during the ammonia-smoke is performed. The flame-retardant polymer is formed inside the fiber and then oxidized to stabilize. The phosphorus-containing compound causes the fiber to undergo a dehydration reaction during pyrolysis. The phosphorus-containing flame retardant is first decomposed into a non-volatile phosphoric acid or polyphosphoric acid in the fiber pyrolysis temperature range to dehydrate the fiber (-OH) to carbonize the fiber. The fabric impregnated with the flame retardant produces a P-N synergistic effect during the ammonia smoking process due to the formation of a highly crosslinked polymer of phosphorus dioxide/nitrogen inside the cellulose. The P-N bond performance (polarity) is higher than the P-O bond, which enhances the reaction performance of the phosphorus compound with -OH, thus producing flame retardant properties. 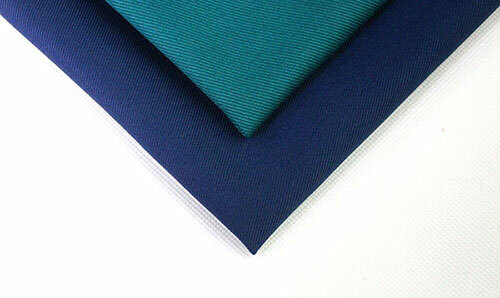 The so-called "flame retardant" does not mean that the fabric has the characteristics of not being ignited by the flame after being finished by the flame-retardant fabric, but the fabric is reduced in flammability under the flame, the area of ​​the burning portion is reduced and the burning speed is lowered. The combustion is stopped after the flame leaves, and has self-extinguishing performance.